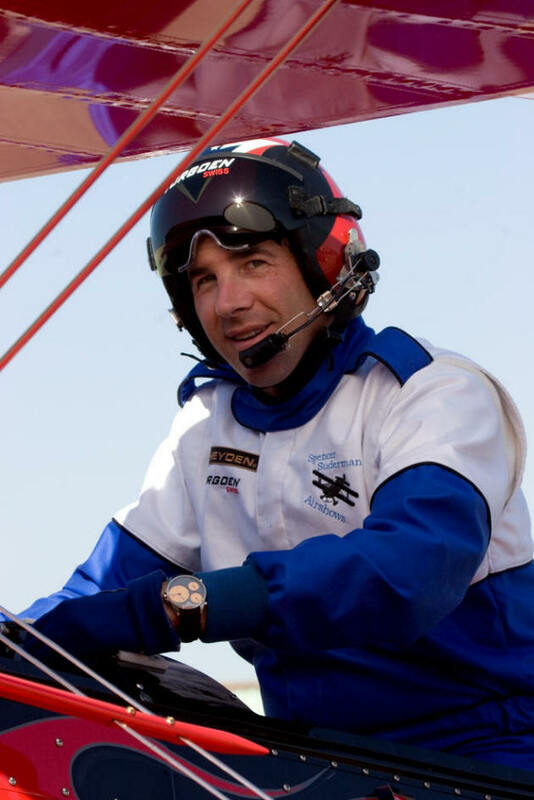 Spencer Suderman began his flying career while working on his bachelor of science degree in business at California State University Northridge in the late 1980's. Spencer earned a private pilot's certificate, commercial rating, instrument rating, and then became a CFI (Certified Flight Instructor). While working on his instrument rating, he went through a spin and unusual attitude training program. 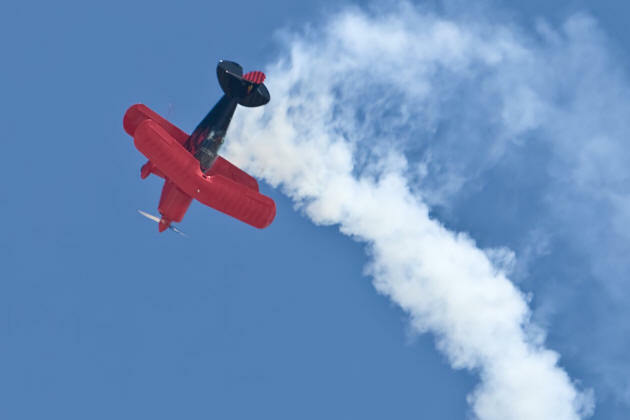 This training teaches pilots what to do in emergencies and involves mild aerobatics. 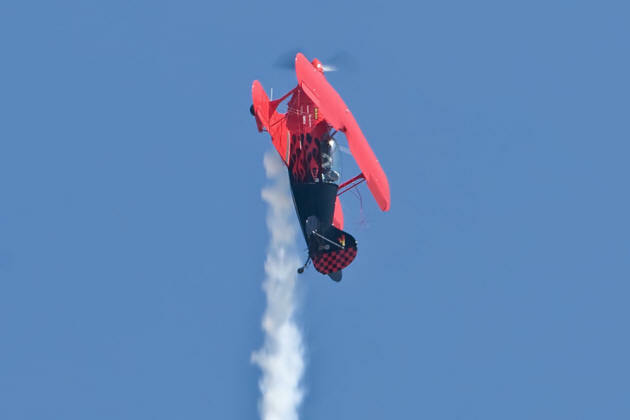 Spencer soon discovered that aerobatics are amazingly fun and quickly lost interest in merely flying straight and level. 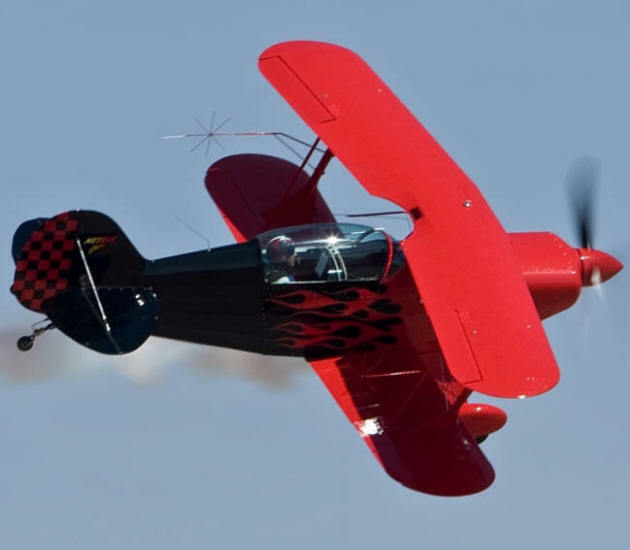 After attending numerous aerobatic contests in the Super Decathlon Spencer moved up to the high performance METEOR Pitts which he now flies in air shows. 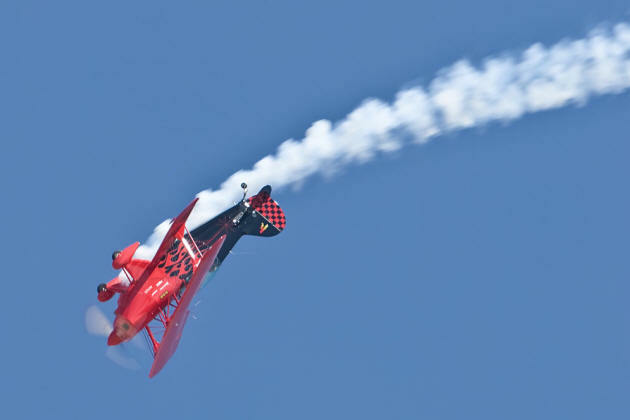 Spencer's air show performance uniquely showcases the capabilities of the METEOR Pitts Biplane with Intense gyroscopic maneuvers that will have the crowd gasping in awe as they watch amazing gyroscopic maneuvers such as the Inverted Flat Spin with its signature corkscrew smoke trail as the plane drops at a rate of 6000 feet per minute and the incredible Double Hammerhead, a feat so difficult that only a handful of pilots have even attempted it in public--Spencer makes it look easy as the Pitts spins like a pinwheel suspended in the sky! After his performance Spencer will meet the crowd and sign autographs while encouraging young people to follow their dreams and achieve success in their own endeavors.